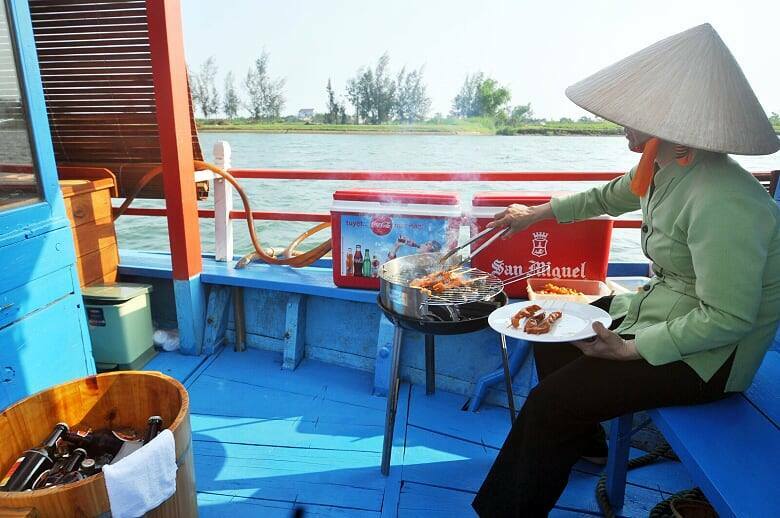 Experience rural Vietnam on a bus to My Son and a boat tour with lunch on the Thu Bon River. See daily life in villages along the water. 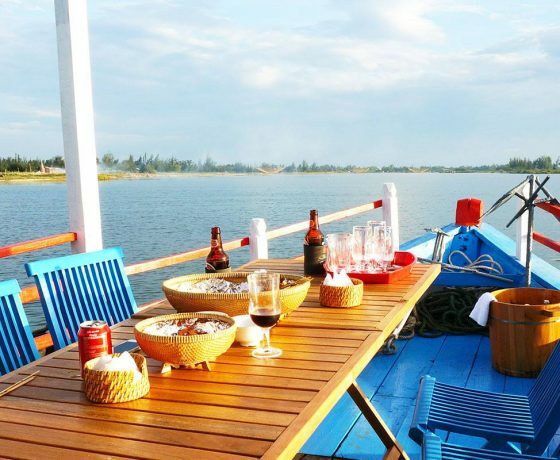 Day tour to present you with the beauty of rural Vietnam via boat and bus. 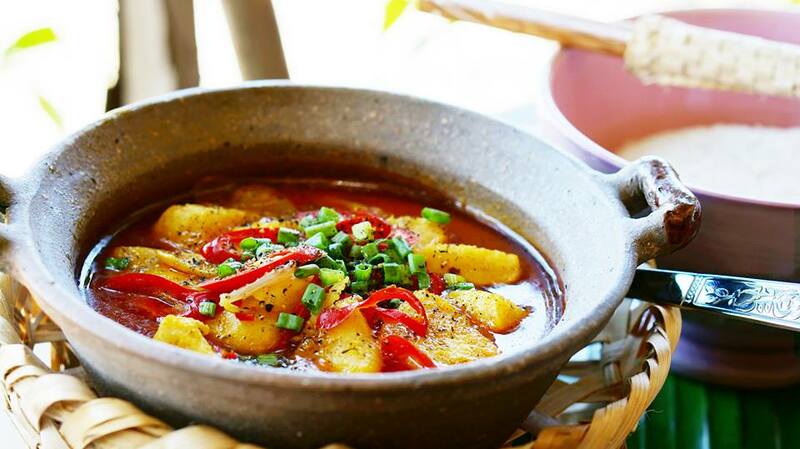 This adventure will bring you closer to the daily activities of the villages and water way. 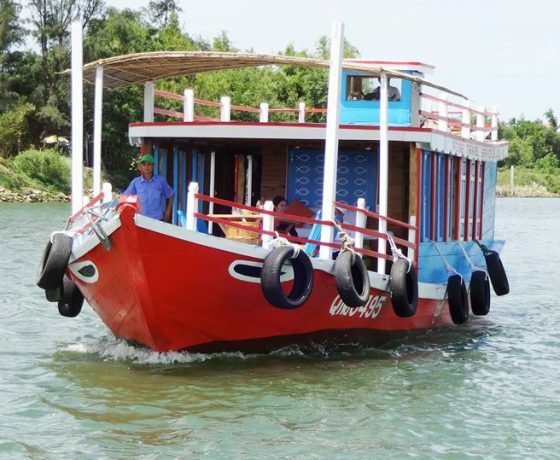 Trip will be taken place at My Son, 50 km away from Hoi An, and boat ride is expected for the water way experience. 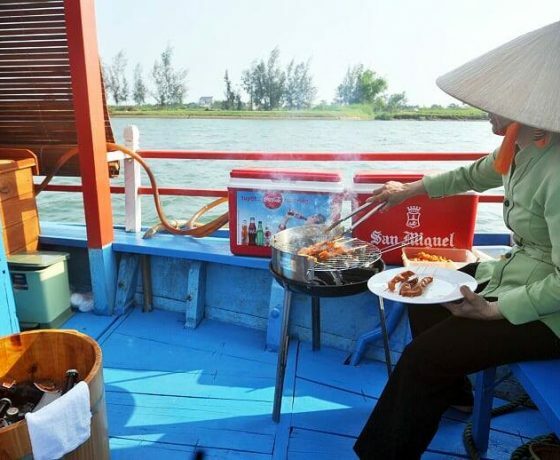 On the way to My Son, crossing Cua Dai Bridge for the view of Hoi An River system, with mountain and Cham islands. 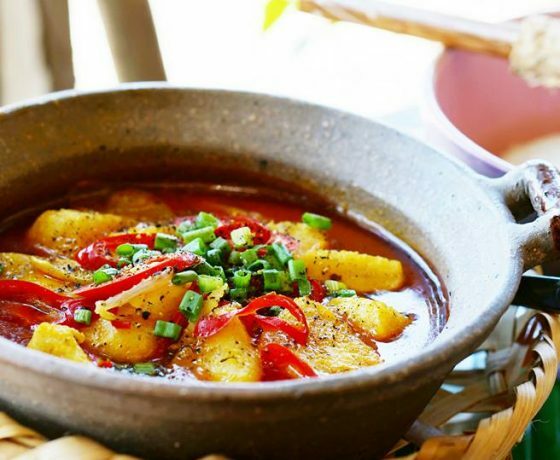 The first stop is the fishing village, where fresh evening catching are traded. This is a great spot for photo taking! At My Son, known as the Valley of Kings, and once the capital of the Chăm Pa Kingdom. See a traditional dance performance before taking a walking tour to the Cham ruins. 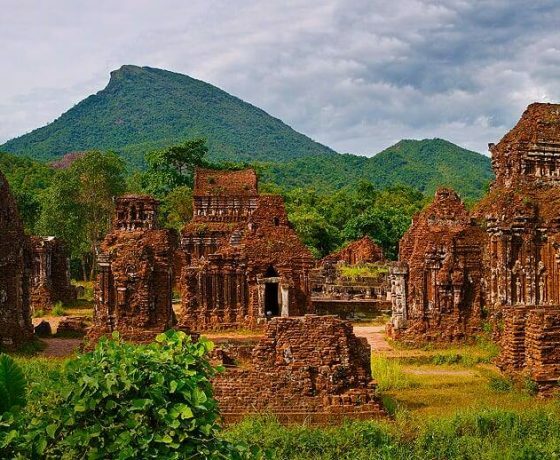 The Valley of Kings as called by French historians was one the capital to Chăm Pa Kingdom by 4th to 15th Century. 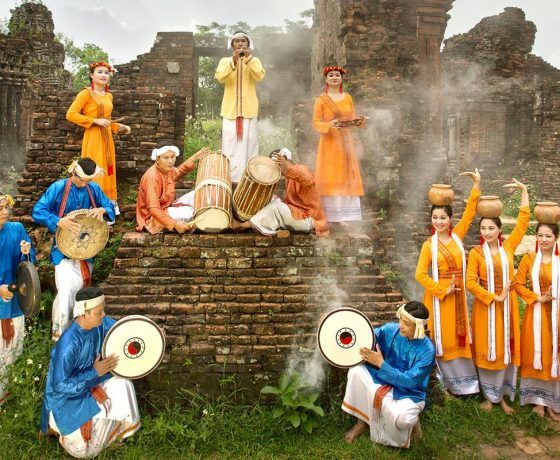 There will be a traditional dance performance, and the Cham ruin tour will be alone jungle bordered track. A guide will lead you to the taile and histry of the regisous site, a cemetery of Cham centries ago. 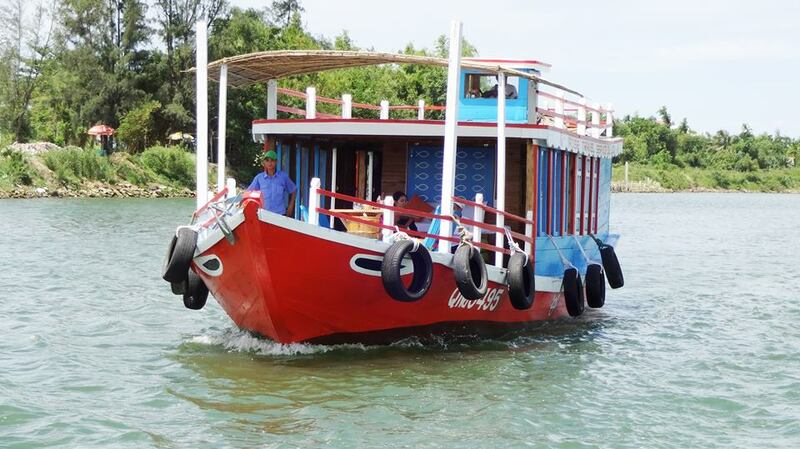 The tour ends as boat arrive at Nguyen Hoang Dock in Old Town. You can explore the old town, or return to Hotel. Children under 16 years old to join the tour must accompanied by an adult at the time of departure or if traveling with someone else, there must be written authorization of their parents. Kids under 4 years old: Free of charge (limit 1 kid/ booking) & from the second kids: 50% of tour price.